It’s May 30, 2014, a good time for an end-of-the-month review. See Some Bible basics from Vince Lombardi and Charlie Chan, which added that in order to help us out, Jesus provided a kind of “Cliff’s Note” summary of the basic message of the Bible: “You shall love the Lord your God with all your heart, with all your strength, and with all your mind. This is the first and great commandment, and the second is like unto it: you shall love your neighbor as yourself. On these two commandments hang all the Law and the Prophets. “You will make [mistakes] anyway and will be much more comfortable – and get along better with this exercise – if you give yourself permission in advance…” Again and again, gently but firmly, the [practitioner] brings himself back to the discipline. With each slip-up or mistake, “you should say the equivalent of ‘oh, that’s where I am now” [and] to “bind ourselves with humor and compassion at our own lack of discipline…” But could that idea apply to each and every Pilgrim on his or her quest to reach God? “So maybe the ‘good Christian’ should also begin by knowing he’s trying to do something he knows is impossible, physically, emotionally or spiritually. No matter how hard we try, we can never, for more than ‘one brief shining moment,’ love God with all our heart, mind and soul. Nor can we, for more than a moment, fulfill the Second Great Commandment, to love even our most obnoxious neighbors as ourselves. The “review” image is courtesy of http://cdn-media-1.lifehack.org/wp-content/files/2012/07/weekly-review.jpg. The Cliff’s note image is courtesy of Cliffs Notes – Wikipedia, the free encyclopedia. 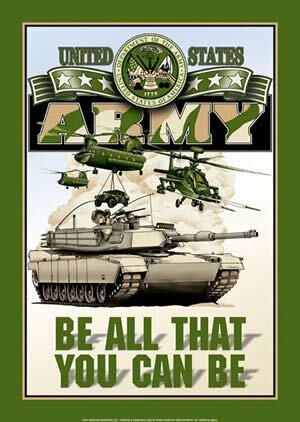 The “Army” image is courtesy of http://www.toywonders.com/productcart/pc/catalog/aw30.jpg. This entry was posted in Reviews on May 30, 2014 by dorscribe@aol.com. Acts 1:6-14, Psalm 68:1-10, 33-36, 1st Peter 4:12-14; 5:6-11, and John 17:1-11. The first reading – Acts 1:6-14 – is about Jesus telling His disciples – some six weeks after His resurrection – that they would receive power from the Holy Spirit, and that they were then to “be my witnesses in Jerusalem, in all Judea and Samaria, and to the ends of the earth.” Then came The Ascension, as described in the post On Ascension Day. That doesn’t mean that such followers can go around blithely ignoring the very real dangers inherent in this life here on earth, a point that Peter made in the second reading below. Cast all your anxiety on him, because he cares for you. Discipline yourselves, keep alert. Like a roaring lion your adversary the devil prowls around, looking for someone to devour. The upper image – Lion Devouring a Rabbit, by Eugene Delacroix – is courtesy of http://www.1st-art-gallery.com/thumbnail/214297/1/Lion-Devouring-A-Rabbit.jpg. For the full Sunday readings see The Lectionary Page. The “let’s be careful” image is courtesy of http://api.ning.com/files/HbWmngpSBZZrUu-5tO6yQxzT-yapP2aih7MX-o7vLPFDTzhgIq8etUXz2WZFegjNxGUhQMmnHbMVV*-0LXhxiA__/staysafeoutthere.jpg?width=320&height=238. I.e., that lower image is a “cut” from the old Hill Street Blues TV series; the “American serial police drama that was first aired on NBC in 1981 and ran for 146 episodes on primetime into 1987.” See Hill Street Blues – Wikipedia, the free encyclopedia. This entry was posted in Sunday Bible readings on May 28, 2014 by dorscribe@aol.com. General George Patton (lower right), at a “welcome home” parade; Los Angeles, June 1945. It’s fitting on Memorial Day, 2014, to remember someone like George Patton, who was at once heroic and controversial. For example, there’s a scene in the movie Patton, where the general spoke to a group of Army chaplains who’ve been touring the front. Part of the tour included Patton’s private quarters, where one chaplain noticed a Bible. Knowing the tremendous responsibilities at stake, the chaplain asked if Patton actually had time to read that Bible. He cursed like a sailor and believed in reincarnation, but Patton was a devout Episcopalian, as shown in the film starring George C. Scott. For example, Patton was at a low point in his career during World War II, after the “slapping incident” in Sicily. He was almost sent home in disgrace, but he found comfort in Psalm 63. Through the travail of ages,midst the pomp and toils of war,have I fought and strove and perished, countless times among the stars. As if through a glass and darkly,the age old strife I see, when I fought in many guises and many names, but always me. Patton then asked, “Do you know who the poet was?” When Bradley smiled slightly and shook his head, Patton answered, “Me.” Which raises an interesting question. Would Patton’s belief in reincarnation – or his cursing like a sailor – keep him out of heaven, despite all that he did for America, democracy and freedom in World War II? The upper image is courtesy of Wikipedia. The “Patton Prayer” image is courtesy of the generalpatton.com website, http://www.generalpatton.com/images/prayercard.jpg. The “New Patton Role” image is courtesy of Church of Our Savior San Gabriel California, the church Patton attended (when possible). This entry was posted in Uncategorized on May 26, 2014 by dorscribe@aol.com. As to those who may have a problem grasping the idea that our souls may continue on after we leave this life and “move on to the next level,” consider the First Law of Thermodynamics. That law of physics states that “energy can be transformed from one form to another, but cannot be created or destroyed.” Or put another way, energy is neither created nor destroyed, but simply changes form. See First law of thermodynamics – Wikipedia. The upper image is courtesy of Wikipedia article, Feast of the Ascension – Wikipedia, the free encyclopedia. See also Ascension of Jesus – Wikipedia. The full Bible readings for Ascension Day can be found at The Lectionary Page. The “arm-wrestling” image is courtesy of www.armpullers.com/images/Arm-Wrestling-World-Wide.gif. This entry was posted in Feast Days on May 26, 2014 by dorscribe@aol.com. To review: on the one hand some say that praying should be done in private, while others say that public prayer – especially prayer in schools – would both set a necessary standard for students, and prevent the declining morality that’s been so evident in the years since 1962. So what’s the “plain meaning” of this passage? On “the left hand doesn’t know what the right hand is doing.” See the Wikipedia article, Matthew 6:3 – Wikipedia, the free encyclopedia. 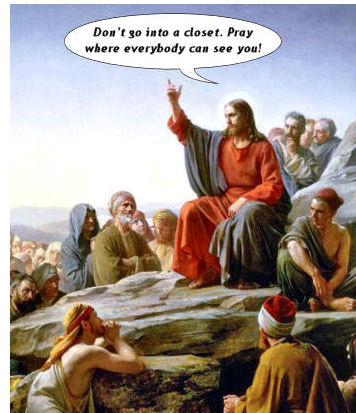 On “take school prayer…” This refers to a classic Henny Youngman joke. Youngman (1906-1998) was known for his one-liners, and his best-known was ‘Take my wife… please.’” Henny Youngman – Wikipedia, the free encyclopedia. An FYI: The joke relied on the principle of dislocation, as used in comedy, but also in magic and the martial arts in general. See, Shinogi – Budotheory.ca, which mentioned three types of dislocation: positional, temporal, and functional. And a magician of course is also known as an illusionist. See the Wikipedia article, Magic (illusion) – Wikipedia, the free encyclopedia, and also Alex Davies – Dislocation. Finally, see The Internet Classics Archive | The Art of War by Sun Tzu, which noted the saying of Sun Tzu (q.v. ), the ancient Chinese philosopher who said, “The fundamental principle of the Art of War is deception,” or in other words, dislocating your opponent. This entry was posted in Daily Office readings, Not your daddy's Bible on May 22, 2014 by dorscribe@aol.com. The Old Testament reading in the Daily Office for Saturday, May 17, is Exodus 40:18-38, where seven times Moses used the phrase: “as the Lord had commanded Moses.” That brings up illeism, the practice of referring to yourself in the third person. Chapter 40 ends the Book of Exodus, the story of Moses, about Moses, and by Moses, and about his leading the Children of Israel out of Egyptian slavery and into freedom. The next book, Leviticus, begins (in the King James Version; the one God uses), “And the Lord called unto Moses, and spake unto him out of the tabernacle of the congregation…” As noted, tradition says that Moses wrote this book himself. In the reading for Saturday, May 17, Moses built a “portable dwelling place” for God. This then was the portable dwelling place for God (as “modeled” below), as He went with the Hebrews in their 40 years of wandering, before they entered their Promised Land. Another note: Tradition says Moses wrote the first five books of the Bible, also known as the Pentateuch or the Torah: Genesis, Exodus, Leviticus, Numbers, and Deuteronomy. In those books Moses told the story of the Hebrew people, from the beginning of time up to the time Moses was about to die and the Hebrews were about to enter their Promised Land. Which brings up a question. In modern terms: What did Moses know, and when did he know it? When did Moses find out he was “on a mission from God?” At the Burning Bush? Before then, when he killed the Egyptian overseer? More important, when did he start taking notes for this massive work, five of the most influential books in the history of the world? So the better question might be: When did Moses write, and when did he write it? One answer is to ignore the question. “The Bible says it, I believe it, that settles it.” (Another way of saying, “For heaven’s sake, don’t make me think?“) That approach seems to say super-heroes wrote the Bible and we shouldn’t even think we can become anything like them. There is another approach. At some point in his life, Moses had an experience that led him to believe he’d been spoken to by The Force That Created The Universe. That experience changed the life of Moses and altered the course of history in a way seldom repeated. And so you might think maybe – just maybe – the Bible was written by people very much like us, and the only difference is they – like Moses – had a “mystic experience with the Divine,” and we haven’t, yet. On the original tabernacle, see: Tabernacle – Wikipedia, the free encyclopedia. Xenophobia is excessive and irrational fear of anything foreign. This fear is most often of foreign people, places or objects. People who are xenophobic may display fear or even anger toward others who are foreign. See What Is Xenophobia? – Psychology – About.com. “What did Moses know, and when did he know it?” An allusion to the Watergate hearings. This entry was posted in Daily Office readings on May 20, 2014 by dorscribe@aol.com. 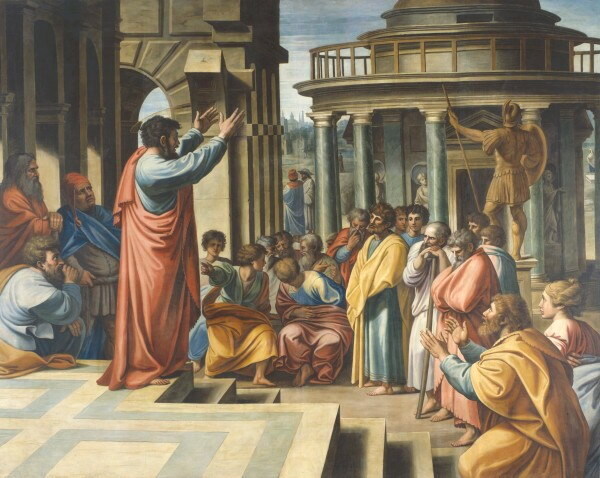 The Bible readings for May 25 are: Acts 17:22-31, Psalm 66:7-18, 1st Peter 3:13-22, and John 14:15-21, according to the Revised Common Lectionary. That’s supported by verse 14, “Come and listen, all you who fear God, and I will tell you what he has done for me.” Simply put, it’s in God’s best interest to have you – in the fullness of time – tell a story of personal triumph over great odds. (That makes for much better drama.) If all you can tell people is that your following God did nothing but make you miserable – or if your audience perceives that’s your message – your not going to attract many followers for God. For the full readings see The Lectionary Page. The “Aereopagus” image is courtesy of http://thegospelcoalition.org/blogs/trevinwax/files/2013/06/areopagus.jpg. The “Greek poet Aratus.” See Aratus – Wikipedia, the free encyclopedia, and/or The Apostle and the Poet: Paul and Aratus – Dr. R. Faber. On “vigour rather than comfort.” See Underwood’s Practical Mysticism, Ariel Press (1914), page 177. Note also the Hebrew and Greek words “Satan” (“Satanas” in Greek) translate “an adversary,” while the root word for devil is “diabolos,” Greek for “slanderer.” (New International Dictionary of the Bible, Regency Reference Library, 1987, Page 899.) So like any “good” prosecutor, the Ultimate Prosecutor tries first and most to get a conviction, if necessary by slandering the character of the accused. On pre-trial intervention, see Pretrial Intervention Law & Legal Definition – Help Build …. 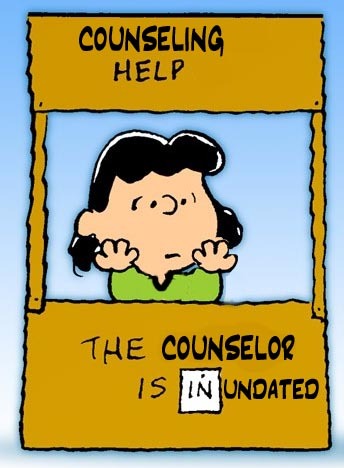 The Lucy-counselor image is courtesy of http://4.bp.blogspot.com/-rU9LIYWVE9Q/T4vuEMr3UcI/AAAAAAAAAbI/Qb_hfSoAFTA/s1600/Counselor_Lucy.jpg. This entry was posted in Sunday Bible readings on May 16, 2014 by dorscribe@aol.com. But the episode was instructive, and it did lead to a couple of Bible-verse memory jogs. It also led to a realization of an apparently-unique theme of this Blog: As a general principle, it’s better to be open-minded than close-minded. So if that idea bothers you – if your mind is already made up in many or most things – you might as well stop reading right now. One reason it’s better to be open-minded – The Scribe contends and will contend during the life of this Blog – is that you simply get much more out of your Bible study that way. If you read the Bible with a closed or “narrow” mind, you’ll simply be cheating yourself out of the opportunity to live life “in all its abundance,” as Jesus promised in John 10:10. Getting back to unsolicited email – also known as “spam” – it certainly does present a major problem for all internet users. (See Unsolicited Bulk Email: Definitions and Problems.) But from that a general principle might be gleaned: While most unsolicited emails present a problem, that doesn’t mean some of them don’t also present an opportunity. On the other hand, neither clumsiness, nor stupidity, nor ignorance of the law is any excuse. Then there’s the nice lady who created the email list in question, the nice lady who ended up getting so much grief because of the offending mass email, and to whom The Scribe has apologized and will continue to apologize profusely. The point is, this was a Christian older-person singles-group email list. Nevertheless, in the spirit of 2d Corinthians 5:18 – saying God has “given us the ministry of reconciliation” – The Scribe can only apologize yet again, and promise that the mistake will never repeated. Then too, his grievous error might prevent other “newbie” Bloggers from making that same mistake: Never, ever try to expand your unique “ministry” – whatever it is – through such a mass email list. The cartoon is courtesy of http://www.reverendfun.com/add_toon_info.php?date=20070115&language=en. * The practice of referring to oneself in the third person is Illeism, “sometimes used in literature as a stylistic device. In real life usage, illeism can reflect a number of different stylistic intentions or involuntary circumstances.” Illeism – Wikipedia, the free encyclopedia.  Former Senator and presidential candidate Bob Dole “regularly referred to himself in the third person, a habit that made him the target of ridicule in a series of skits on Saturday Night Live.” 11 Famous Illeists | Mental Floss. This entry was posted in Uncategorized on May 15, 2014 by dorscribe@aol.com.